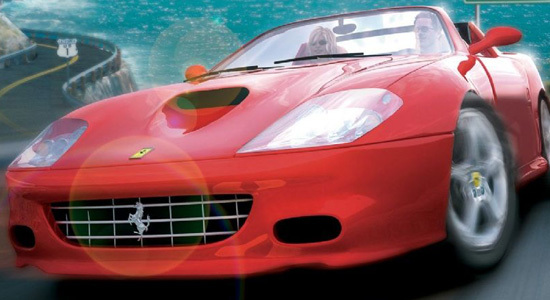 Taking a joyride through beautiful locales, with a gorgeous blonde at your side, in a Ferrari Testarossa. Sounds like the perfect dream for any male in the 1980s, doesn’t it? (No. Seriously. Does it? I wouldn’t know. I was born in ’89.) 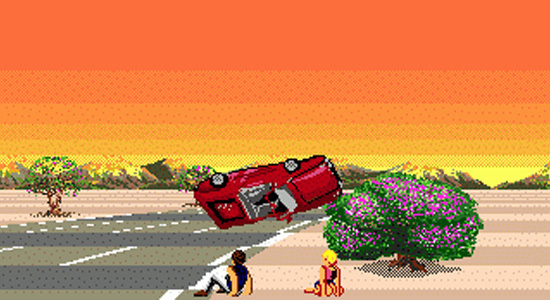 In September 1986, Sega’s legendary AM2 team made this dream a sort of semi-reality when they released their third game, OutRun, to arcades. Featuring (for its time) highly detailed graphics thanks to Sega’s SuperScaler technology (and Yu Suzuki’s work in making sure the environments were as realistic as possible), a memorable soundtrack by Sega music legend Hiroshi Kawaguchi, and force feedback steering (the first arcade game to feature such a thing), it took arcades by storm and established AM2 as being a dominant force in arcade gaming. This was my view during most of my playthroughs. The objectives were standard arcade racing fare. Hit the checkpoints as quickly as you can while avoiding other cars and obstacles. Since you didn’t have to worry about racing other cars, you could just focus on the road and hitting your gear changes, which I personally think makes the game much easier. Anyways, beat all five stages, and you’ve beaten the game. Simple, right? Good for a playthrough or two. But here’s where the replay value, aside from it just being a stellar driving game, is seen. At the end of each level, you’re given a “fork in the road”. You could take the left path for an easier run, or the right path for something more challenging, and at the end, depending on which paths you’ve taken, you’d get a different ending, something that’s a bit of a staple in Sega games (most recently, to my knowledge, seen in Shadow the Hedgehog and After Burner Climax). There’s a total of five endings, and 16 different ways to go through the game. As a couple of the endings are quite humorous, I’d recommend going through and unlocking all of em. The series still continues on today. After countless releases on late 80s/early 90s home consoles, re-releases in compilation discs and other games like Shenmue 2, and spinoffs like OutRunners (which is frequently said to be the best in the entire OutRun series and will probably get its own entry) and Turbo OutRun, Sega finally released a true sequel in 2003 called OutRun 2 (this time featuring official Ferrari licensing). I won’t get into this one too much, as I haven’t played it, and as the game and its own spinoffs get covered pretty thoroughly in Episode 16 of the podcast’s Sonic Gems section. As for my personal experiences with the game… Honestly, I don’t have many. As I mentioned above, I’m a 90s child, so sadly I was never able to experience the game in arcades. My only experience in the past was on the Genesis, and even then I didn’t play it much as the time limit always got me, which led me to throw a tantrum and go back to playing Sonic. In fact, I never beat the game until earlier while doing research for this article! Which leads me to how it holds up today… Graphically, it still looks great, with a steady and passable framerate. I can certainly say it’s aged well compared to other Genesis racers I’ve played years later, though the steering is almost not sensitive enough. Several times during my playthroughs, I would be mashing down the d-pad on my controller as hard as I could and driving as deep into the corner as I could, but I still ended up flipping my car after it slid off the track. Frustrating indeed, but aside from that, it’s still quite fun to play, if not more so than before, at least in my opinion. Definitely a great way to kill a few minutes. 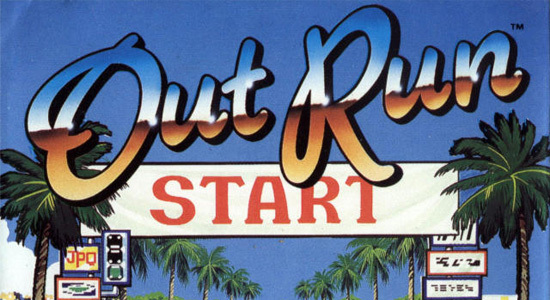 And as for a reboot or a remake, there’s sorta already one out, based off of OutRun 2, on the XBLA and (European only, for some reason) PSN. I haven’t played it, since I’m in the US, but if Sega were to release it on the American PSN (WINK WINK NUDGE NUDGE I KNOW YOU’RE READING THIS SEGA), best believe I’d pick it up in a heartbeat. And there you go. I’m not exactly an expert on the series, so I hope I did it justice! Anyways, if you’ve got any feedback, criticisms, or game requests for future installments, don’t hesitate to leave a comment here, post in the official forum thread, or tweet me. Thanks for reading folks! 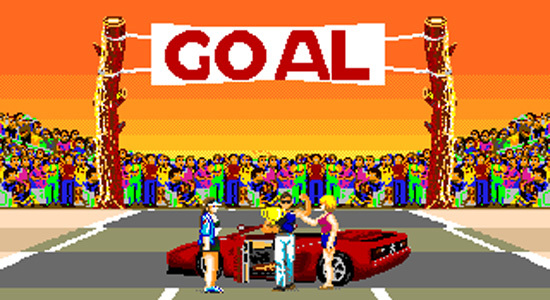 I love Outrun and it’s various spinoffs and sequels. I haven’t played all of them (including Outrunners which I should check out) but what I’ve played has been great. Even today the original arcade game stands out from the thousands of racing games that have been released throughout the years. I can agree with that, yeah. It’s just a no frills driving game, and when every racer has to have a gimmick these days (Be it the hyper realism of Gran Turismo, or blowing stuff up in SplitSecond), it’s kinda refreshing!